Hello and welcome to another edition of the WCU PodCats show! 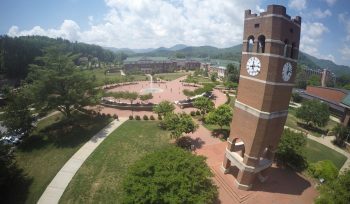 This week Josh and Patrick take a look at the 2015 Freshman Bucket List and examine all of the different opportunities that the Class of 2019 have to experience WCU and western North Carolina. Whether you are a freshman, upperclassman, or alumni we want to know how many of the activities have you completed from the Bucket List? We look forward to hearing from you on facebook.com/WCUPodCats, twitter.com/WCUPodCats, and in the comments below. Please remember to subscribe, download, rate and comment on iTunes or iTunesU; and as always, Go Cats!